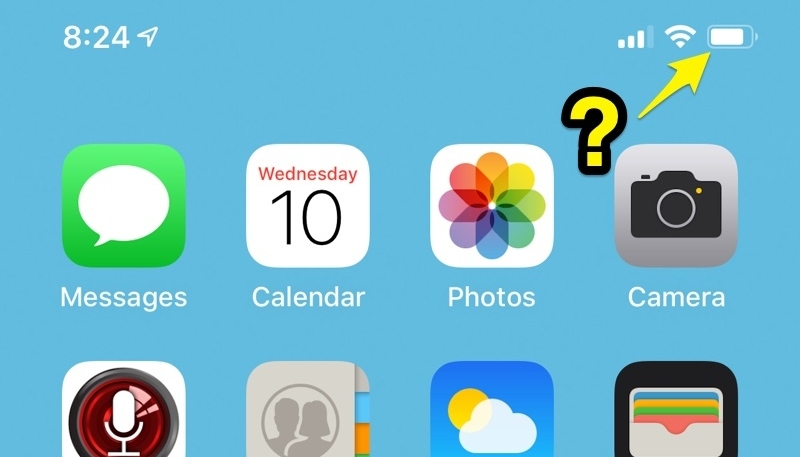 Where is the Battery Percentage Indicator on the iPhone XS and iPhone XS Max, and How Can I Find It? 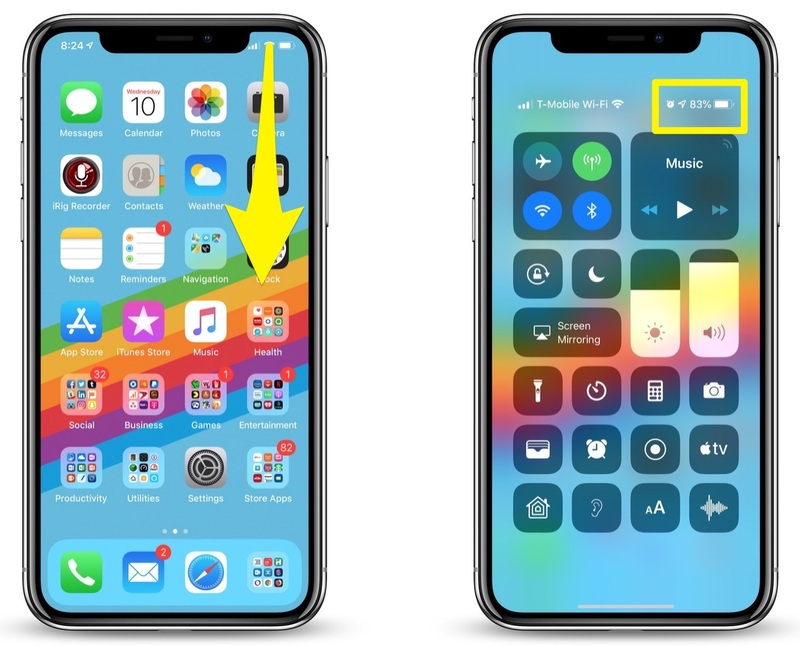 If you recently bought a new iPhone XS or iPhone XS Max, you may have noticed that the numeric battery percentage indicator is missing, as there simply isn’t room for it with that notch up there at the top of the screen. While the battery indicator is still there, you can’t tell exactly how much power your device has left unless you have the percentage there too. Luckily, the percentage indicator hasn’t been removed, it’s simply been moved. To the Control Center. 1.) Open the Control Center by swiping down from the upper-right hand corner of the screen to display the Control Center. 2.) You’ll now see the battery percentage indicator in its usual spot, right next to the battery indicator. You’ll also see a bunch of other icons and indicators, but that is a lesson for another day. 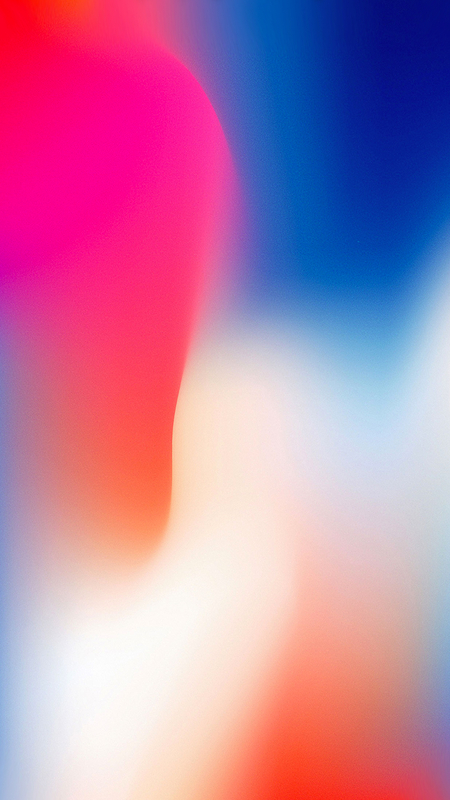 Once you’re finished viewing the battery percentage, just swipe up form the bottom of the screen or tap the screen to close the Control Center. Easy Peasy, right? Now you know exactly how much power your device has left before you need to find a charger.